Volkswagen cars were the most popular in the world last year according to the latest sales figures. This is despite the fact that the manufacturer was caught up in a major emissions scandal. Volkswagen sold more vehicles than the previous biggest seller Toyota to take over as the official best-selling brand last year, with a massive 12 per cent sales growth in China being cited as a major reason for the gain. Toyota topped the best-seller list in the previous four years, but only sold 10.2 million cars last years, compared with the 10.3 million sold by the German manufacturer. The fact that Volkswagen is topping the best-selling list for the first time despite being caught rigging emissions tests on its cars, which were found to be producing far more diesel emissions than is allowed under environmental laws, is somewhat surprising. 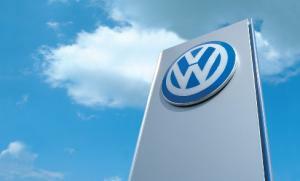 The Volkswagen sales figures included the highly popular Audi, Skoda and Porsche brands under its umbrella. The figures suggest that consumers are not holding a grudge against the German brand with regards to the diesel emissions scandal and that the brand has so far done well to handle what could have been a public relations disaster. Meanwhile, dealerships in the UK could be told that they may have to refund buyers the full cost of their affected Volkswagen diesel vehicles, before claiming the cash back on their insurance. Car Emissions Lawyers have claimed that drivers who purchased the cars affected by the emissions scandal after October 2014 could be entitled to a full refund, while also being told they can keep their cars. CarEmissionsLawyers.co.uk’s Aman Johal explained: “Contrary to their public apologies and admissions of misconduct, VW continue to deny responsibility for any wrongdoing, even refusing to admit that defeat devices were installed on their vehicles. Dealership owners can learn a valuable lesson from this case that ensure they are fully covered by a comprehensive motor trade insurance policy. This can help to protect them in a range of circumstances, which could be financially disastrous without the right cover.